Lake Mountain was hit by wildfires in February 2009, leaving most of the plateau severely devastated and burnt by the intensity of the fire. However, the plateau experienced a natural phenomenon and the regeneration has been a wonder to watch in the years since. 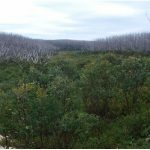 From a blackened landscape, to regrowth of all descriptions, Lake Mountain is well on the way to recovering from the effects of the 2009 bushfires. signs of life were the ferns which showed green shoots within weeks, but the real delight came after the first Spring as the snow melted to reveal a carpet of tiny seedlings appeared. Soon to follow were the first of the Snow Gums, Alpine Ash and the Wattles, all within a couple of months. Mixed in with them were a myriad of other seedlings and reshoots. Now eight years later the Spring and Summer wildflower display is well worth a visit. Over 90 species have been identified since the fires so the recovery has been spectacular. No matter what time you visit over the Spring and Summer you will find something in flower to admire. Starting in late September, the Wattles and Wax flowers are usually the first to put on a display followed closely by the Lake Mountain Grevillea which is only found on Lake Mountain making it quite special! 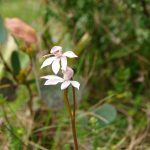 As October arrives a progression of Hovea, Bush-peas, Mints, Trigger plants, Billy buttons begins a constantly changing spread of colour as well there are a variety of orchids throughout the Summer. 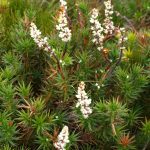 One of the best places to see the display is the Echo Flat heathlands and alpine bogs which are easily accessed along Echo Flat ski trail which leaves from the resort. In less than a kilometer you will arrive at the open heathland with the Upper Taggerty River meandering through it. As you come closer to the river and into the wetter areas the flora changes markedly, with the Callistemon along the river banks being one of the more spectacular when it is in flower. For walkers, as well as the ski trails and the walk to Keppel’s Hut, the mountain now also has a day walk from the resort over the Summit, Snowy Hill, Mt. Arnold all the way to the Entry Station on the Marysville Road. A distance of 12 km takes you from the sub alpine environment, to Alpine Ash forest and pockets of rainforest, both of which survived the fires. The trail was built as a shared path for mountain bikes and walkers and is working well as such. It connects a number of pre-existing tracks, and the Strategic Firebreak constructed after 2009 to protect Melbourne’s water catchments in case of future fires. A detailed topological map can be downloaded from the Lake Mountain website or hard copies are available at the resort. The unusual regenerating landscape at Lake Mountain is the result of the way the two eucalypts which dominate at this altitude regenerate; the Alpine Ash and Snow Gum. The Alpine Ash needs a fire to regenerate, the parent tree being killed by the fire, but the seedling regrowth is prolific and currently the battle for survival is on. Thousands of crowded seedlings are now over 5m high in places yet only 30cm apart! Likewise, the Snow Gums have many new seedlings as well as the basal regrowth from the lignotubers. Both regenerating forests are left with thousands of silver trunks above the abundant regrowth, a haunting yet beautiful landscape. 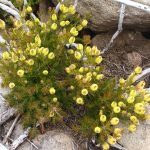 Further details about Spring time at Lake Mountain, walking trails or guided Wild Flower Tours, visit the Lake Mountain website or call the team at Lake Mountain.